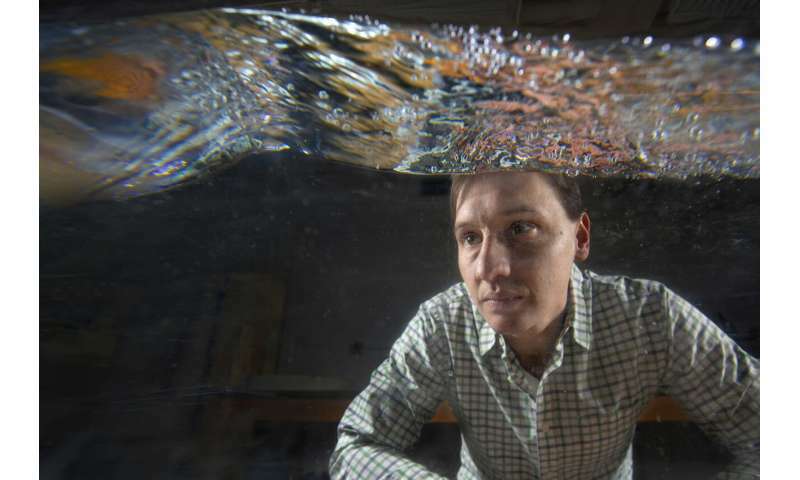 Florida State University researchers have found that abrupt variations in the seafloor can cause dangerous ocean waves known as rogue or freak waves—waves so catastrophic that they were once thought to be the figments of seafarers' imaginations. "These are huge waves that can cause massive destruction to ships or infrastructure, but they are not precisely understood," said Nick Moore, assistant professor of mathematics at Florida State and author of a new study on rogue waves. The study is published in the journal Physical Review Fluids. Once regarded as a myth, these waves have stumped the scientific community for several decades. Over the years, researchers across the globe have examined a number of different factors they thought might contribute to these waves, including the seafloor, wind excitation and a phenomenon called Benjamin-Feir where deviations from a periodic waveform are reinforced by nonlinearity. Most of the studies that focused on the seafloor considered only gentle slopes, and the few studies that pushed the slopes to greater extremes relied primarily on computer simulations. "There was a relative underrepresentation of real-world data that you can get from laboratory experiments, where you can carefully control the various factors," Moore said. "Often you need this real-world data to see whether the computer simulations are giving you sensible predictions at all." Moore's laboratory experiments were the first to examine the effect of abrupt seafloor variations on wave statistics. Along with FSU's Geophysical Fluid Dynamics Institute Director Kevin Speer and now-former FSU student Tyler Bolles, Moore created a long chamber with a variable bottom. Using a motor to generate randomized waves, the research team tracked thousands of waves to see if any patterns emerged. After the waves passed through several feet of a constant depth, they encountered a step in the bottom of the tank that represented an abrupt change in the seafloor. Moore and his colleagues found that initially the waves appeared normal, following a traditional bell curve. But when they passed over the step, the structures of the waves significantly changed. The altered waves followed what's called a gamma distribution, a mathematics function describing certain patterns that defy the bell curve in a particular way. "It is surprising how well the gamma distribution describes the waves measured in our experiments," Moore said. "As a mathematician, that is screaming to me that there is something fundamental to understand." The experiments and the emergence of this gamma distribution have spurred new investigations into the origin of rogue waves. "We have to understand them on a fundamental level first by developing new mathematics," Moore said. "The next step is to use that new mathematics to try to predict where and when these extreme events will occur."